Next to Vaison-la-Romaine (2 km). 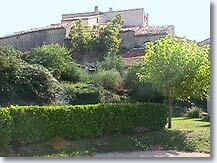 Saint Marcellin lès Vaison is located right next to Vaison-la-Romaine, high up on the banks of the river Ouveze. It is surrounded by verdant countryside. From the small square in front of the mairie, visitors can enjoy the panoramic view which takes in its neighbour opposite, Le Crestet. 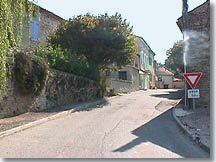 From there a narrow road goes into the surrounding countryside, where numerous houses have recently been built. The tour of the village won't take long since no trace of its past has survived... but Vaison la Romaine has plenty of excavations, ruins and ancient buildings to interest history buffs ! Saint Marcellin lès Vaison has attracted people who for the most part work in Vaison eand who prefer the peace and quiet of the countryside in the evening. Marcellin is a good base from which to visit the entire region. 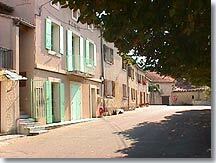 You can enjoy the activities in Vaison while staying in a quiet village. Vaison-la-Romaine (2 km), Le Crestet (4 km), Faucon (8 km), Entrechaux (10 km).